Quite a few of y’all in the Carolina hip hop scene have emailed, called or seen me out at events recently and asked why posting on the site had slowed down considerably over the past three months. If you’re not following me on the ‘Gram or had a chance to connect with me other ways, the fact is I’ve spent a good amount of that time training for a marathon (26.2 miles, lawd!) and also made quite a few changes in my lifestyle. Here’s my #RapOnTheRun story. 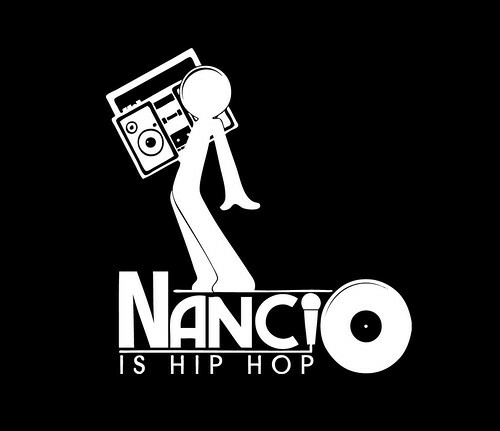 I started the nancioishiphop.com website and brand in 2008. Since that time, between working full time both in IT project management and as a hip hop blogger, my lifestyle was very sedentary. I spent most of my time in front of a computer or sitting and standing around at networking and hip hop events. The most exercise I got was working my fingers out using a computer keyboard and talking on the radio. There were a lot of fun times and exciting experiences between 2008 and 2011, but overall I was a true couch sweet potato (FYI, North Carolina is the United States’ number one supplier of sweet potatoes). Y’all, there were so many days where the most exercise I got was walking to and from my car to zip between events and meetings. In late 2011, I got tired of the sedentary life and decided to take the necessary steps to live a more active and healthy lifestyle. In October 2011 I decided to become a runner. Mind y’all, I’d never even been a runner. There was a few seasons of sports in high school, but I had never been an athlete. By the time October rolled around, I was just tired of being tired all the time (i.e. no energy). On average I was getting four hours of sleep a night. Even if I did get a full nine hours, I’d still wake up tired. When you’re working 80-100 hours a week (crazy! ), there’s not much time to do anything else. During this same time frame I was following several folks on Twitter who were in the hip hop industry and also into running. Back then, Ozone magazine founder/CEO Julia Beverly, digital strategist Mr. Shadeed and photojournalist angieLUV used to regularly tweet about running, how it made them feel, their struggles and more. Moncks Corner, South Carolina native Charlamagne Tha God was also talking about fitness and staying healthy during The Breakfast Club on Power 105.1 FM. I specifically remember a fitness rant where Charla went in on a listener so bad, she called up to the station to cuss him out for calling her fat. I’m not sure if it was staged or not but it was funny and motivated me at the same time. So in November 2011 I hired a personal trainer. I was so out of shape that my trainer had me get checked out by a doctor first, and then she put me in the gym for two solid months before even letting me try running. On January 17, 2012 — I remember it like yesterday cause it was the day after Martin Luther King day — I ran my first mile. Shawty, it was probably the hardest thing I ever did physically. Two months of working out in the gym had not prepared my body for that run. The first run for other people may have been easier, but mine was mostly pain. I remember being severely out of breath and sweating like crazy in the dead of winter. Honestly between me and y’all, I think I died that day. I don’t remember anything else about that day besides the fact that I ran one mile and then went home to sit down and try to figure out what I’d gotten myself into. As much as that first day of running hurt, I did it again the next day. And the next day. And the next week. And the following month. I’ve now been running regularly since January 17, 2012. I ran my first 5K (3 miles) in April 2012. Then in June 2012 I ran an 8K (5 miles). In July 2012 I ran a 10K (6 miles) and came in dead last. Honestly at first I was crushed. Who trains for months, puts in hours of hard work just to come in last? Welp, I did. After that initial post race let down, I did some reflection. After that I had to come to terms that things don’t always work out as planned and that’s OK. I was happy that I’d at least entered the race, did not give up and had finished the run. Throughout training over the past two years, listening to hip hop has helped take my training to a new level. Rare is the run where I’m not listening to a mixtape, album or a turnt up mix of my favorite artists. Sometimes I like no music but usually hip hop motivates me to go hard. Running is the time I try to turn my brain “off” and focus on the task at hand while listening to the rhymes of my favorite artists. There have been many runs where I’ve listened to a project from beginning to end and did a mental review of how great (or trash) it was. Maybe one day I’ll progress to the point where I finish a long run and then sit down to write an album review. Over the past year I’ve noticed more hip hop artists embracing and promoting active, healthy lifestyles. Paul Wall created the Feel Rich movement, Styles P owns juice bars in the Bronx, 50 Cent has written books on fitness and bodybuilding, stic.man helms the RBG Fit Club and Lil Cease has the Hard Body movement. I even noticed that the Roots added a 5K run (Roots Rock Run) as part of Black Thought’s GrassRootsFound program, which will take place during the annual Roots Picnic in May 2014. So after all those previous races and three half marathons later, I’m on the tail end of a pre-marathon taper. The taper is basically where you put your body on chill a couple of weeks before you turn up and run 26.2 miles. Other lifestyle changes I’ve made include hardly ever watching TV. I’ve gone weeks without even turning it on. I also quit my IT job–I miss the people and the work but I don’t miss working 80 hours a week! I’ve become a vegetarian and am beginning to explore the vegan lifestyle. All of these changes along with seeing how artists and folks in the hip hop industry are promoting health and wellness is motivating me even more to stick to running, fitness, health and wellness programs. I’m still a work in progress. My training hasn’t always been perfect and gone exactly as planned. That’s OK though. There are always changes that can be made to get even better. Sometimes I have to remind myself that there’s nothing wrong with falling it’s when you don’t get back up to try again is when you fail. Overall, it just feels good to have a culture you love, love you back with motivating you in numerous ways to continue to be healthy, fit and more active. This entry was posted in Healthcare and tagged #RapOnTheRun, angieLUV, Fitness, Julia Beverly, Marathon, Mr. Shadeed, Running, Vegan, Vegetarian. Bookmark the permalink.